Hey Viewers, Welcome to Skillopedia, your favourite place to learn Skills for the real world. We hope you are enjoying our self-improvement and personality development training videos, So what do we have today? Well, the world we live in is filled with difficult and crazy people and when you have to work for one such person, that is your boss you are possibly in a bad situation. But, it doesn’t mean you cannot deal with one such boss. 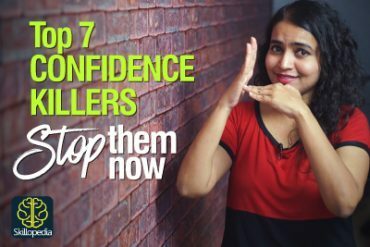 In this Skillopedia video with Michelle you will learn 5 Brilliant ways to handle a crazy and difficult boss at work. This Youtube Channel is dedicated to provide self-improvement videos to stay ahead in this competitive corporate world. Our video library consist of Communication skills training, Personality enhancement training, Soft skills training, Job interview skills, Business skills, Etiquette training and much more to develop confidence and create a persona that stands out from the crowd. Subscribe to our channel to get regular updates of our skill development videos. I took just a minute to relax in my office, to recline a little bit, put my chair a little backwards and close my eyes because I was working for so many hours. I had been doing and working since the morning and then somebody walks in the room while I was just reclining and who was this person? Of course, my boss and he calls me a doodle. A doodle is somebody who does no work at all. So he thinks that I’m a doodle just because I relaxed for a minute but I can only complain to you. I can’t complain to my boss. Does it even help? I don’t think it helps to complain to him. The fact is that we really do not like anyone bossing around us, be that our mothers, we don’t even like when our mother’s boss around us but for a boss what’s his job? His job is to boss you, yes because he’s called a boss but I know what you’re thinking. You’re thinking that okay he’s a boss but he doesn’t need to be crazy all the time. Well to that I’d say that madness is the most important part of a boss’s job. Okay but this doesn’t mean that all bosses are like that and all bosses are crazy but just put yourself in their shoes for a minute and think that they have to be like that in order to get their work done. It simply means that one can easily give into madness once they are in that position. When we think of spider-man we have heard the famous statement, with great power comes great responsibility and that’s what happens with your boss. When he has so much responsibility and he’s covered under so much responsibility what would he do? He absolutely goes crazy, yes and he could even drive all his employees crazy. Anyhow as I said complaining wouldn’t solve the problem. So it’s better that you start learning how to deal with your crazy boss and how to deal with this attitude towards you. Alright so make sure that you watch this complete session with me today where without a delay I’m going to suggest you some tested ways of dealing with your crazy boss. So watch the complete session my name is Michelle. So you and your boss are completely different, is that what you think? That you both are completely poles apart. I mean if he’s the North Pole, you’re like the South Pole you’re so different but at the end of the day, you’re both people. Okay maybe you’re like a really reserved person who doesn’t like to talk much and who doesn’t like to be involved in small talks but your boss is kind of an outspoken cool guy and he loves talking and he loves talking about things to you, talking about projects to you. So what’s your take on that? are you gonna make a big hue and cry as in a big fuss about it that he’s crazy and he wants to talk about the project so much? Well it’s not all that bad you know you can easily put up with a small talk, it’s okay you can have a small talk with him and even if you’re a no-nonsense person, it’s only gonna help you because I’m sure that in his conversation with you your boss is definitely gonna tell you something useful about your work right. So having a small talk with your boss would do you more good than harm. For example, if your boss talks about the new project, okay and he talks a little bit too much about it and he goes on a little bit longer giving all the details. Bear with him, it’s fine learn it and use it in your work. So it’s fine this is how you deal with a crazy boss, talk to him, find out what he has to say and match your frequency with him which means be like him to work with him. So to deal with your crazy boss you need to sit in your boss’s chair. Yes go and sit on his chair in the office and wear his shoes. What, really? If you do that you’ll definitely be left without a shoe and you will never get to sit on any chair in your office again. So obviously I’m not gonna give you such a bad advice. What I mean here is that you have to try to look at things from his perspective. That’s what it means to be in someone else’s shoes. So think from their point of view. Well simply because your boss is worried and very dedicated to his company and he’s very dedicated to his brand, so he will show all that dedication. So you basically need to share his vision and you need to match your frequency. You need to understand the way he works and why is he so dedicated and you’re definitely going to benefit from this. You might as well just realize that your boss would not even be bothering you that much if you had understood his point of view. Maybe they think that behaving in a particular way would motivate you to do better in your job. If for instance you’re actually lazy okay and you tend to procrastinate which means that you tend to delay the work that your boss has given you and that’s why your boss is constantly telling you to do things in time. 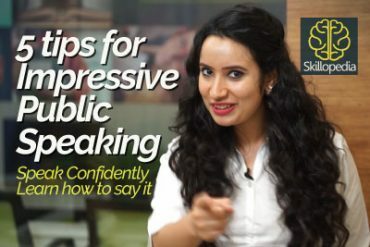 So take your boss’s words very carefully and try to improve. Do not procrastinate as much as you’re doing and if your boss’s behaviour is way over the top, even if after you’ve improved he continues to nag you, well then there’s a problem and you need to confront him which means you need to get with him face to face and tell him that you can’t work like that because it gets hard for you. So try either of the ways, first it’s a step in his shoes and understand why is he asking you to do something and most likely the matter will be resolved here and you’ll understand that his view is absolutely correct. He wants you to work harder and be more useful for their company. Are you scared of asking questions to your boss? Let’s say your boss assigned you a task, okay and you need to present the statistics for your company’s recent loss. Along with that, you need to provide an analysis of why your company failed. You have to enlist all the factors, you have to collect the statistics and you feel that there is a problem and the problem is that there is too much work for you. Okay or maybe you did not understand how are you supposed to solve the problem and there’s just too much work. So what do you do then? Well, what you need to do is that before starting the project, you should talk to your boss. Many times we stop ourselves from clearing matters with our bosses. Mostly because we are quite scared and afraid of how they would react to our questions. Whether this would make them angry or will they be like why do you always come to me with complaints and problems? Well and sometimes our big egos come in our way when we think like, oh I can solve this myself. I don’t need his help but the truth is he’s your boss and you definitely need his help and then what happens is that you end up completing the work way too late and you’re not able to finish the work within the given deadline. So the moral of the story is only after you’re able to say no to your big ego, you’ll be able to make room for your boss’s opinion. So do not be scared to ask questions to your bosses. It will definitely not make you any smaller to ask questions to your boss. Whenever you’re in doubt ask them questions and they will feel that you want to give your best to the company. So don’t be scared to ask for opinion, to ask for clarification from your bosses, be free to ask questions and do not hesitate. So if you feel that your boss is behaving really crazy with you, you need to be motivated which means you don’t have to think, that this is like the end and you can’t do anything about it. You have to remember that you leave your troubles at work. Yes, it’s very important that you leave your troubles at work. If you’re being really troubled by your crazy boss and you feel that it’s affecting your personal life. Then why are you carrying the burden home? The burden could become the centre of your whole life so much so that you’re not able to pay attention to your family. If that is happening then please remember you cannot be controlled by one person and if you are letting your boss control all the areas of your life as in at home, at work, then you’re the only one responsible for it because you’re taking all the burdens from work at home and this could definitely affect your personal life greatly. For example, if your work is taking over you and you are feeling very burdened and you feel like you can’t do it anymore, why don’t you just take a break and balance it. Take a small off like a weekend off, you know a Friday off and Saturday, Sunday go for a vacation with your family and don’t allow your crazy boss to get the best of you. So that’s what stay motivated, stay encouraged this is definitely not the end. Without hard work, nothing grows but weeds, yes Bro. Gordon was absolutely right in saying that. What I mean here is that, if your work is first for you then no one can nag you. Not even your boss can nag you as long as you’re working properly. So the crux here is that in the end, it is your work that matters, it can definitely shut all the mouths, whether it’s your colleagues or your boss who keeps nagging you. So do your work and give it your best and you are on your way to settling all the things right at work. Most problems only arise because we are not working properly or we are not working as we are expected to do. So that’s when we start hating our job because we often hear our boss nagging us because we are not working and we often hear the higher-ups complaining about certain projects that we’ve not completed. So yes for the final one I would tell you that there is no escape in your work absolutely no escape and you have to, have to, have to work hard to enjoy your job and when you do that the happiest person would be your boss because he is expecting you to work and when you’re giving him that he’ll definitely be happy and then you’re surely to be in his good books and you’re done with enough dealing with your crazy boss. I’d like to leave on a very good note. I want to tell you that your boss could be your best friend at work if you follow these tips that I’ve shared with you today, he’s not all that bad after all because he or she could be a hard boss to deal with but they are most likely a regular person with their own struggles. So if they are having a hard time it might reflect in their behaviour sometimes. So as I said put yourself in their shoes and align your thoughts with their thoughts, try to work the way they want you to work and you’ll be done with all the craziness that you have to deal with. So thank you so much for watching this complete session with me, my name is Michelle and I had a great time doing this session with you. Please come back again and thank you and bye-bye. 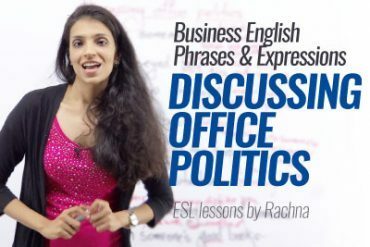 Business English Lesson – English Phrases & Expressions for Discussing Office Politics.